We are providing a exclusive range of unarmored 3 core and 4 core Double sheathed single solid aluminum cables which are generally conforming to IS:694:1990.these are Superior in quality and performance. This ensure proper connection, good conductivity and complete optimization of wire solder ability. Our aluminum cables are very qualitative and satiate the requirements of varied industries. They don't merely deliver power, they do so with maximum efficiency and security. Conductors are made from special grade aluminum conforming to IS:8130, and are compact circular shaped. The conductors are insulated with a special grade of PVC and outer sheath consists of a highly abrasion resistant PVC compound. 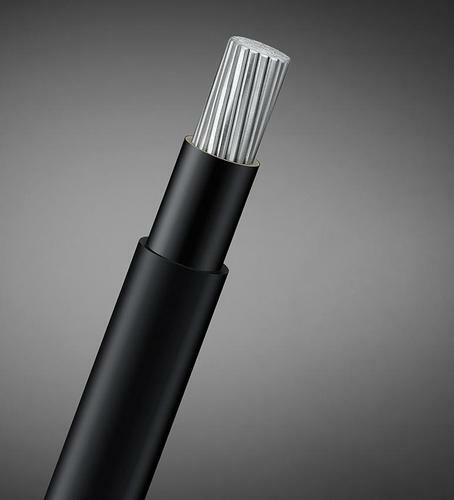 These cable are suitable for use in AC single phase or three phase (earthed or unearthed) systems for rated voltages upto and including 1100 volts or a DC systems for rated voltages upto and including 1500 volts to earth. These cables are used for outdoor installation in damp & wet locations, laid direct in ground where mechanical damages are expected to occur.